I’ve known the Besters for over 11 years now, long before our lives were filled with a combined 7 kids. They are dear friends who share so many similar values. Two of our children actually slept side by side in their infant place of safety before we adopted them. So the memories run deep. You can imagine how gutting it was when they moved away years ago. 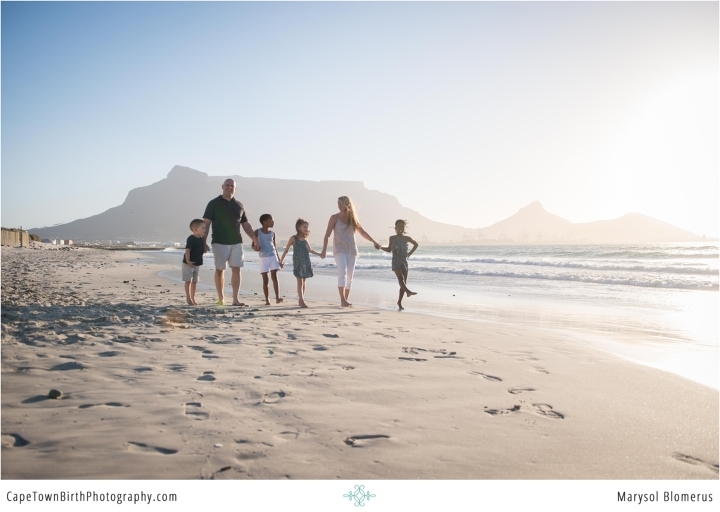 They messaged me that they were coming to Cape Town for a visit and could they please hire me to do family portraits that felt like the Mother City even though they aren’t technically clients of mine. Family sessions are normally exclusively offered to my existing clients only. So if you have (or one day plan to) hired me for your maternity/newborn sessions or birth coverage, I am available onwards to capture your family as it grows. I offer this exclusively to clients because of my limited availability and not the general public because I believe in the chemistry and trust required to get these images. It’s how I roll best. But how in the world could I turn them down? It was my absolute honour and sometimes a tad bit intimidating to work for friends. 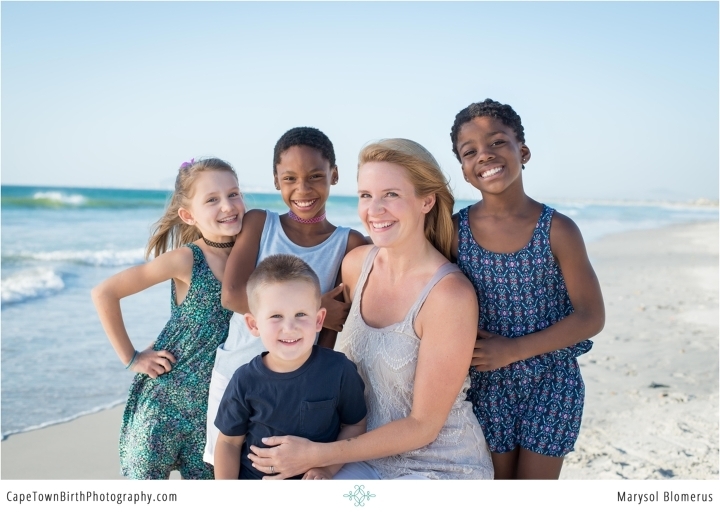 What I loved most about this session is that we captured the essence of their family. The steamy-hot-even-in-the-madness love their marriage still enjoys. The wild and playful relationship with their kids. The deep enduring love they all have for eachother. They are proof that choice and belonging make family. Thank you Besters for trusting me and bringing your A game. I can’t believe what a breeze this was with 4 kids. Enjoy their session. If you would like one of your own, contact me for booking information.